I created this super yummy gluten-free chocolate chip cookies with coconut for my dessert-loving son who has Celiac Disease. It has now become everyone’s new favourite. We simply can’t get enough of these cookies. This recipe makes a big batch and I’m always tempted to freeze some but they disappear so quickly that it doesn’t make sense! I love using coconut flour in cookie recipes. Its light, delicious coconut flavor and smooth texture, blends seamlessly into sweet baked goods. On top of that, it’s a high fibre flour, making it a healthy choice for gluten-free, grain-free, and low carb baking. It’s a win-win! 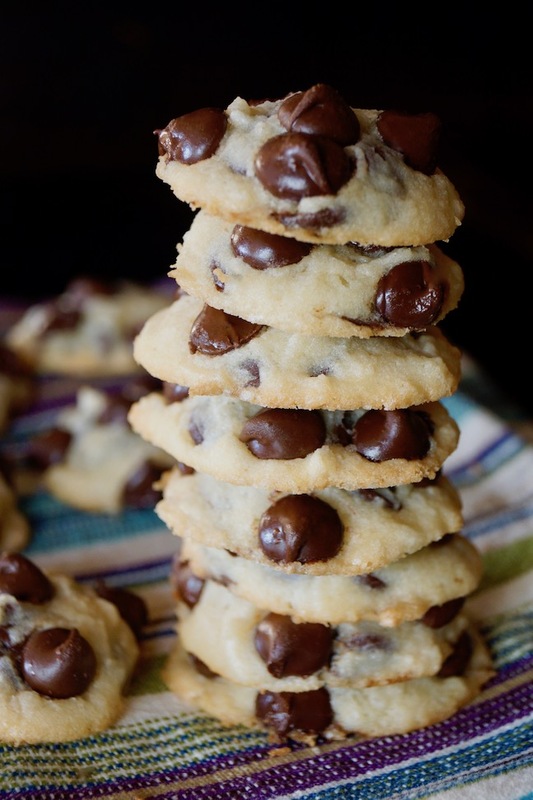 Looking to make your own gluten-free chocolate chip cookies? Follow my easy recipe. I make these yummy gluten-free chocolate chip cookies for my dessert-loving, gluten-free son who has Celiac Disease. Check out my easy recipe. *Please note that 2 hours of the prep time is inactive, refrigeration time. Step 1: Line a baking sheet with parchment paper and set aside. Step 2: In a large mixing bowl, combine the caster sugar with the softened butter, egg, and vanilla. Mix until smooth. Step 3: Add the gluten-free flour, coconut flour, xanthan gum, and salt, and again, mix until smooth. 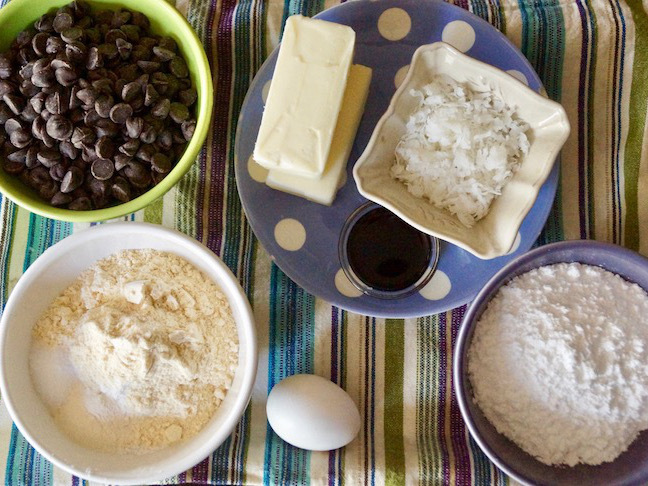 Step 4: Fold in the shredded, sweetened coconut, and chocolate chips. Step 5: Use a 1¼-inch cookie scoop (or teaspoons) to shape the cookies into small balls of batter, placing them on the parchment lined baking sheet as you go, close together so they all fit on the one sheet. Cover the sheet tightly with plastic wrap and refrigerate for at least 2 hours. Step 6: Preheat the oven to 325 degrees F and line another baking sheet (or two) with parchment paper. 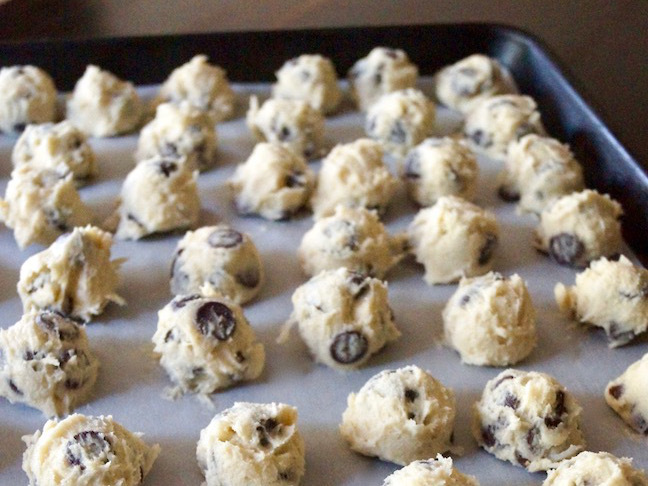 Spread cookies out on the baking sheets. Step 7: Bake in the preheated 325 degree F oven until the cookies are just becoming golden along the edges, about 12 minutes. 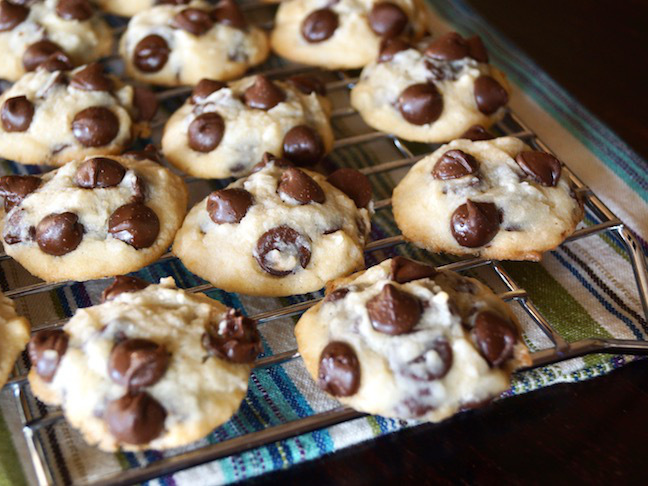 Let them cool on the baking sheet for a few minutes and then transfer them to a cooling rack. Cool them at least until they are room temperature before serving.